SFTT reported in 2010 that BAE Systems unveiled its latest concussion sensor for soldier helmets, named Headborne Energy Analysis and Diagnostic System (“HEADS”). Apparently, BAE and the military have been tracking military “concussive” events for some time since the press release refers to an earlier version already installed in military helmets. Today, some five years later, SFTT is asking the same question: Where is the data and what does it tell us about concussive events suffered by men and women on the battlefield? In the absence of compelling evidence to the contrary, one can only conclude that the military has discovered serious structural flaws in the designs of the “standard-issue” combat helmet, but doesn’t want to alarm combat troops (or their families). 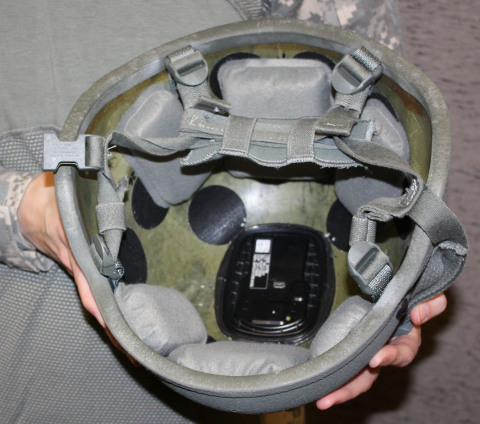 Presumably, the “mad scientists” at the Soldier’s System Center at Ft. Belvoir are fast at work trying to build a safer helmet, but one must question how this invaluable data is being shared with those who study brain injuries. It is alarming to think that even the secretive and misleading NFL leadership has been far more forthcoming about brain injuries than our military leadership. It is both sad and frustrating that the DoD and VA have not been more proactive in sharing this information with scientists and the medical community so that we can take responsible action to help brave young men and women protect themselves from harm and assist those with brain trauma recover their lives. Frankly, hiding under traditional military fallback position of “we don’t want the enemy to know the vulnerabilities of our equipment” rings a bit hollow when 22 Veterans are committing suicide each day.